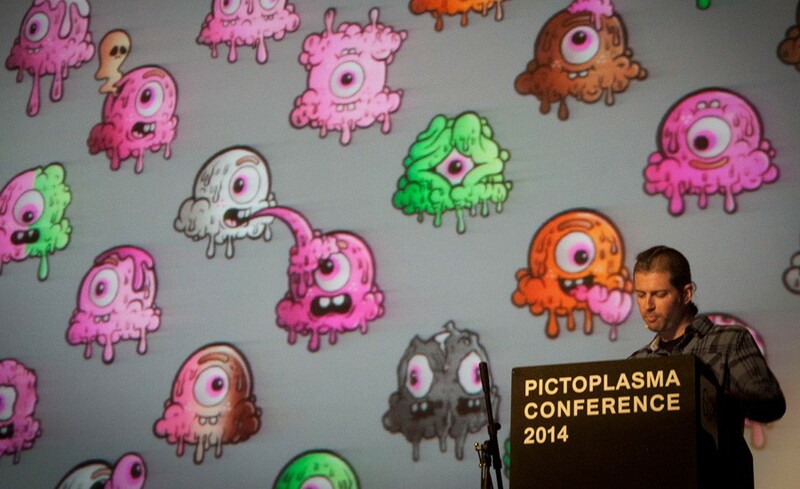 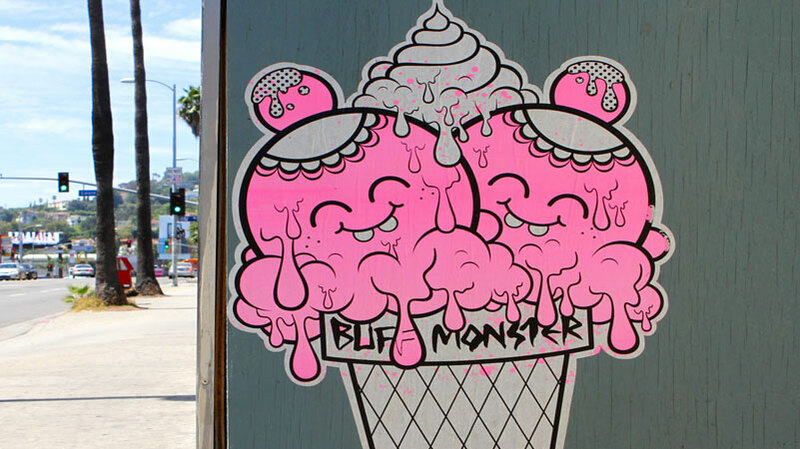 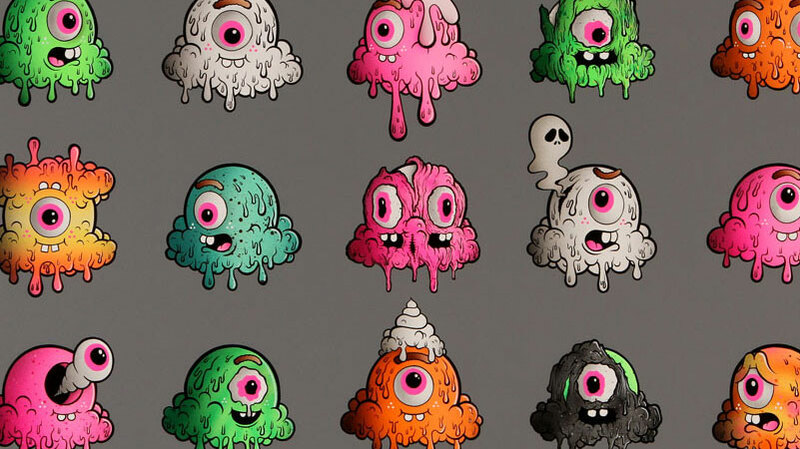 The work of Buff Monster is characterised by happy, typographic characters living in bubbly landscapes. 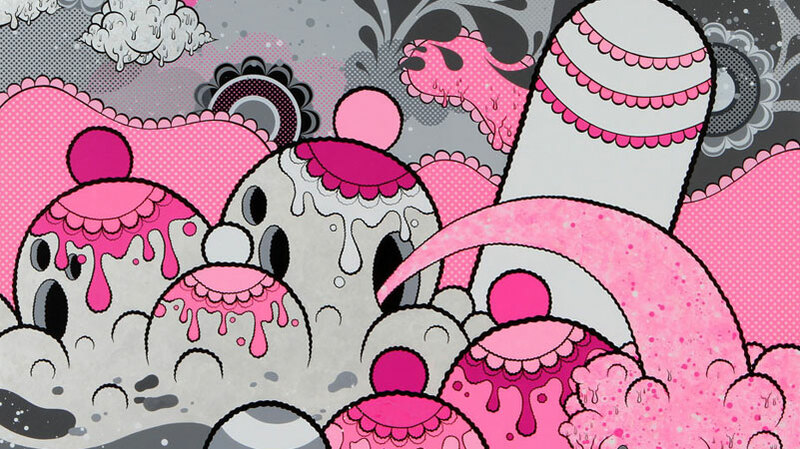 Starting to make a name for himself by posting thousands of hand-silkscreened posters across Los Angeles, he is renowned for his meticulously executed paintings and diverse commercial products. 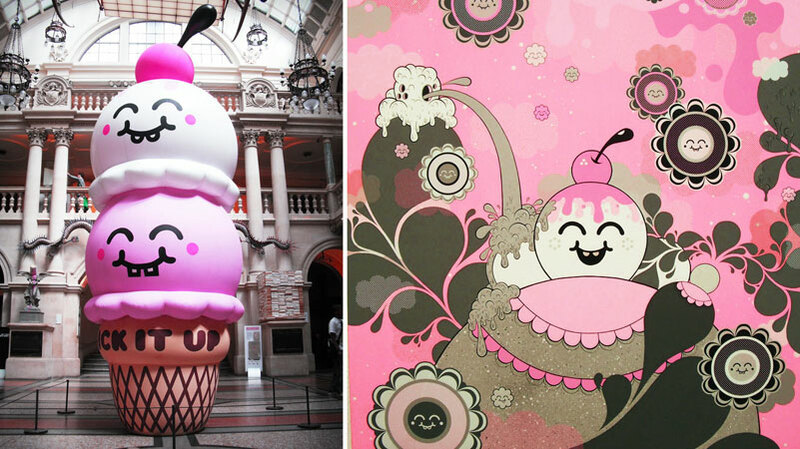 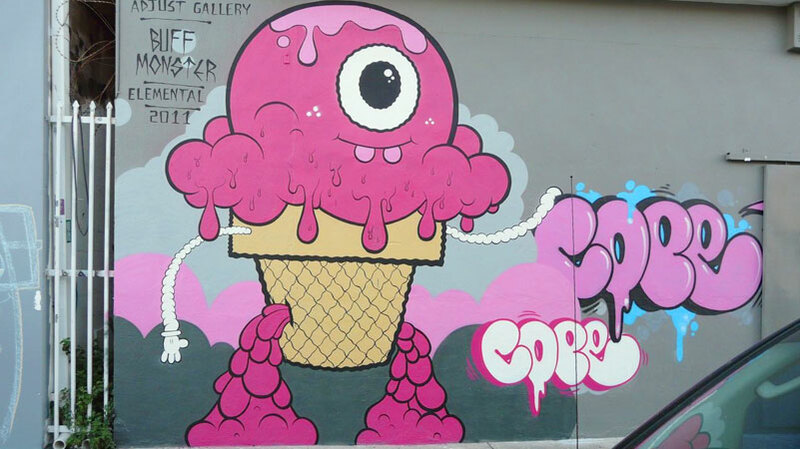 With his Melty Misfits characters, based on ice cream cones, he creates narratives that reference art history.